O&O DiskRecovery functionality begins where other programs leave off. 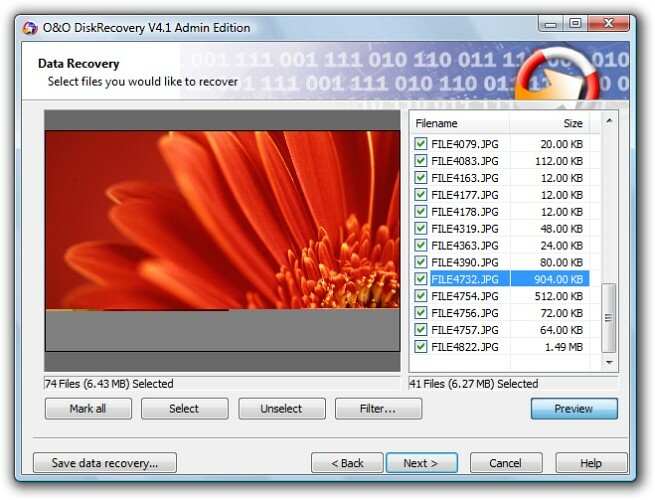 O&O DiskRecovery Personal Edition software combs every sector of a hard disk, memory card, or digital camera to find lost files. Even when files systems are formatted or destroyed, it is possible to reconstruct once deleted data. Over 300 file types can be recognized and restored, including Word documents, Excel workbooks, Access Databases, etc. ...... That's why it's so important to have O&O DiskRecovery already installed on your computer, before trouble strikes. If O&O Diskrecovery is not already installed on your computer when trouble strikes, the instant installation is ready to help you. All you'll need is a second computer and a removable drive (e.g., USB Stick, external hard disk). Start the installation on the second computer and save the Instant Installationa on the removable drive. You can then connect this drive to the computer (target computer) on which you want to recover data, and run O&O DiskRecovery from there. Doing so will let you avoid a complete installation on the target computer. Such an installation could possibly overwrite important sectors of the hard disk that are needed for a restoration. Qweas is providing links to O&O DiskRecovery Personal Edition 6 as a courtesy, and makes no representations regarding O&O DiskRecovery Personal Edition or any other applications or any information related thereto. Any questions, complaints or claims regarding this application O&O DiskRecovery Personal Edition 6 must be directed to the appropriate software vendor. You may click the publisher link of O&O DiskRecovery Personal Edition on the top of this page to get more details about the vendor.